Flotilla sailing Sunscape style - Sail your own charter yacht at a leisurely pace and experience a balance of freedom, on hand support and a great social scene, whilst exploring islands and hidden anchorages along the way. Bareboat charter holidays allow individuals to create their own unique sailing holiday experience. Enjoy your independence and visit a mixture of vibrant ports and secluded bays! We take pride in tailor making your holiday. Why not add a week ashore after or before your sailing holiday in one of our selected Hotels, Villas or Apartments. If you would like to sail yourself but just haven't got the crew then join one of our cost effective Share-Boats sailing on flotilla. Alternatively join the crew on a Skippered yacht or perhaps a Gulet cruise along the Turkish coast. 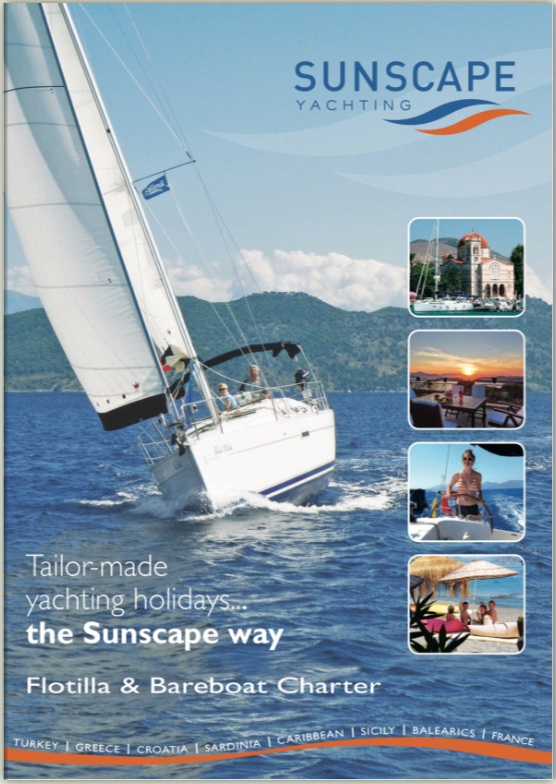 Sunscape offers a number of ways for you to 'learn the ropes' and have a wonderful holiday on the water at the same time. Sail training on flotilla and RYA sailing school courses are just a click away.